Neglecting to plan ahead for elder care can be costly. Many seniors and their families only learn about the significant costs associated with nursing home care when they actually need the care, which can result in hasty decisions and unnecessary expenses. Nursing home care in New York, for example, costs an average of $132,000 per year. Senior advocates highly recommend preparing well in advance, since this gives seniors more options and saves more assets from going into the nursing home. Many seniors and their families save considerably by using a home care agency – specifically one that offers a reliable home care system or home care software, such as ClearCare. In addition to the standard nursing home costs, those paying privately must also cover a state surcharge tax. In certain states, this tax can be considerable. For a $132,000 annual fee, the surcharge in New York is nearly $8,000 – although many individuals end up having at least $10,000 added to their yearly bill as a result of this tax. Those against the surcharge refer to it as the “granny tax” and argue that it is grossly unfair; however it is unlikely to ever be repealed, as it brings in more than $600 million annually. While nursing homes are more expensive than in-home care, they provide fewer options to patients and their families. 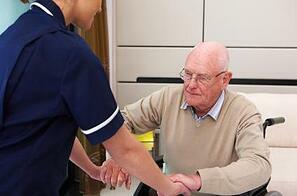 Nursing home facilities are notoriously understaffed, and lack proper supervision. Without a quality home care system or home care software, such as ClearCare, nursing home administrators cannot offer real-time visibility to patient point-of-care like home care agencies can. With nursing home care costs on the rise, it’s no wonder why more families are choosing in-home care. There are now more reputable home care agencies to choose from than ever before, and an increasing number are offering ClearCare’s innovative home care system and home care software. Unlike nursing homes, which provide little to no transparency when it comes to patient care, ClearCare’s home care system and home care software gives families the opportunity to check in on their loved ones daily activities from any computer or mobile device. Imagine being able to confirm that your mother’s caregiver is at her house as scheduled, has prepared the morning meal on time, and administered necessary medications appropriately. If you have questions about ClearCare’s home care system and home care software, contact one of our friendly representatives today.